Education Secretary Betsy DeVos said Tuesday that the federal school safety commission established after the Parkland shooting won't be examining the role of firearms in school violence incidents, the Associated Press reports. 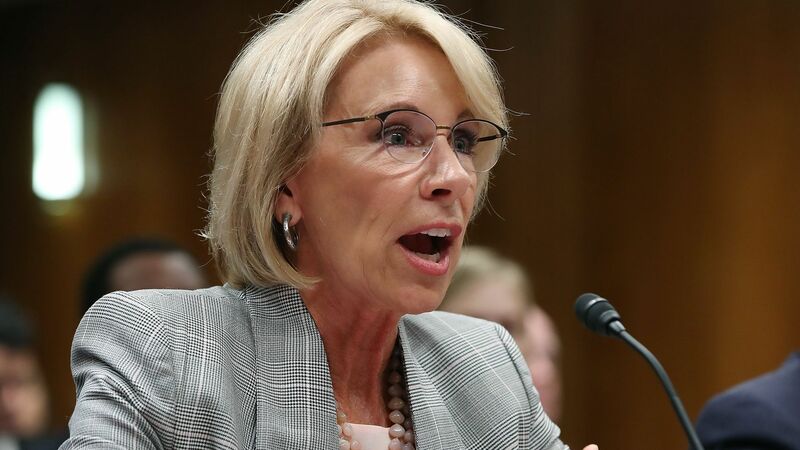 The details: DeVos, when asked during a hearing on education spending if the commission would be looking at guns when studying school safety, said it "is not part of the commission's charge per se. We are actually studying school safety and how we can ensure our students are safe at school." Her spokeswoman, Liz Hill, said in a statement that "[i]t's important to note that the commission cannot create or amend current gun laws."